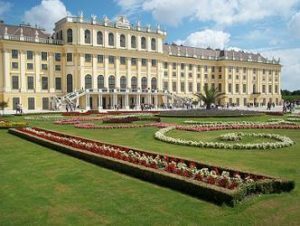 The Schönbrunn Palace is is a former imperial summer residence. The House of Habsburg was an important royal house and they reigned in Austria for over six centuries. 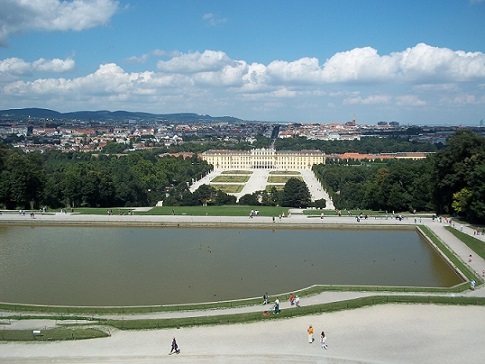 Nowadays the palace is an UNESCO World Heritage Site and the main tourist attraction in Vienna. There are several combined tickets with special discounts. 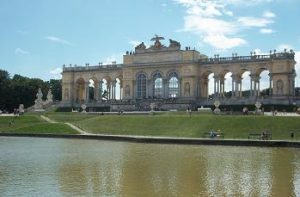 The Classic Pass cost €21.60 and includes the 5 most important things to visit such as Grand Tour with audioguide and the Gloriette with viewing terrace. The Gold Pass is the most expensive (€55) and includes 10 things to visit. The Gold Pass has a real tour guide and includes also entrance to the oldest Zoo of Europe, Carriage Museum and Palm House. 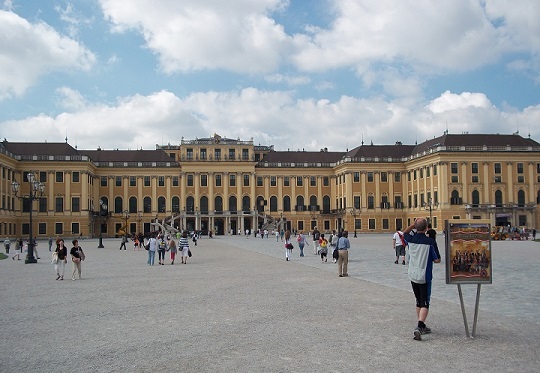 Schonbrunn Palace is open daily from 15 March – 6 November. Most visitors at Schonbrunn take the tour through the Palace. When we arrived in August 2010 there was allready a queue with visitors outside the building. It took us half an hour before it was our turn. After buying the tickets we had to wait a second time. The tours through the palace are individual tours with an audioguide; not guided tours. Every tour takes about 35/50 minutes. When the visitors have finished the tour, the next group of visitors can start their tour. Most tour groups come in the morning. If you come at noon there are little visitors at the entrance gate and in the palace. Schonbrunn Palace is just outside the city center. Take metro line U4 to Huttedorf, stop at station ‘Schonbrunn’. From the metro station to the palace is a 7 minutes walk.